It’s surprisingly difficult to watch its catalogue from beyond the United States. Despite it being that popular. First, to even access HBO NOW outside US you’d first need a VPN, and even if you do have one, you’ll still need an American credit card to sign up for the service. Unless you are an expat, how on earth, would you even get an American credit card? But, there’s one nifty trick to access HBO NOW outside the United States, all you’d need is a VPN service, some fake US address, and a gift card service that works. So, let’s see how you access HBO NOW outside US in 3 simple steps. As you might have guessed, you will need a VPN to access HBO NOW. For this instance, I’ll recommend getting a Smart DNS Proxy. The reason being it offers both a VPN and Smart DNS, meaning you set up smart DNS on your router and watch US TV shows from all your devices. So, head over to Smart DNS Proxy.com and create a free trial account. Follow the instruction on the setup page or watch our previous setup instruction videos for Windows, Mac, Android, iOS, router, or any device you have. It just cost $5 per month but the good news is there’s even a 14-day free trial, so if you decide not to continue, you can cancel before that. It doesn’t require any credit card info as well. Once you have set it up, turn on the VPN and switch to United States. Now that you’ve got a VPN, you easily access HBO NOW. Now, we need to buy a gift card for HBO NOW, as it only accepts a US credit card. So, head over to mygiftcardsupply.com (you don’t need a US credit card and PayPal to buy a gift card from them). You can get $25 for roughly around $27 which is fair in my opinion. So, add it to your cart and check out with my PayPal. Enter your name, email and verify your phone number. Once done, you’ll get the code in your email with a minute or two. They deliver you the scanned back of a physical card by email. In the next screen fill in your name, email address and password that will required to log in. And that’s it. Your HBO now account is ready. Log into your account with the email and password you just used and pick up a show to watch. So, that’s how you access HBO NOW outside United States. While it’s not the most elegant solution, it certainly works. Since you paid with $25 gift card, your account should last around 7 weeks and after that you’ll have to keep buying more gift cards to credit your account. 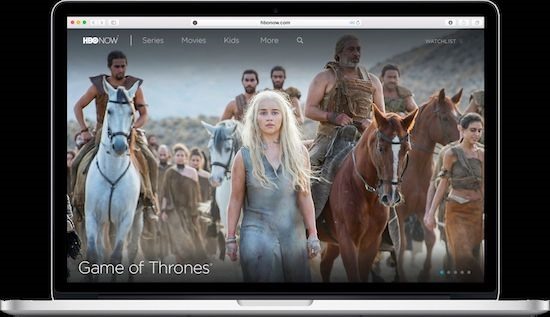 Unfortunately, the HBO NOW app is region blocked on Android, iPhone and even Apple TV so the only way you can watch HBO content is on your computer browser. Also, check out our other videos we’ve done on how to watch US live TV, Hulu, Amazon, etc. from anywhere. Like always, you’re welcome to subscribe and like our YouTube channel.